Enter your email address and click the button -- an email will be sent to you with a link to reset your password. Thanks! We have just sent you a link to create a new password. (Be sure to check your spam folder if you can't find the message.) The link will expire in 1 hour. This petition has been created by Jen P. and may not represent the views of the Avaaz community. The Dingo plays an extremely important role in our Eco-System. Dingoes are in fact native. In a natural enviroment, Dingoes prefer to eat rabbits, roos, ferrals, introduced species etc..Not Stock... They "Do Not" kill just for the hunt, like so many ignorant people assume!! Dingoes control kangaroos and suppress foxes and feral cats, as well as protecting pastures from overgrazing by "nuisance species". Dingoes are far from vermin and ecosystems with dingoes have better vegetation and abundant small native animals. 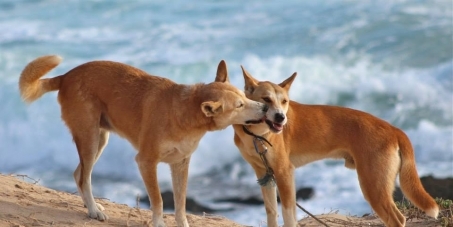 Baiting and killing dingoes could lead to more stock deaths! Baiting dingoes fractures the pack dynamics and in turn causes hyperpredation and hybridisation, because dingoes are socially complex, they're particularly sensitive to lethal control. There was an error when submitting your files and/or report.